The new trend in MMA is to transition to pro wrestling when you’re done and can’t go anymore. Guys in their prime did both, like Ken Shamrock and Dan Severn. Guys who never had a prime did both even, ala Tank Abbott. In the recent years however more and more names from the MMA world are going to pro wrestling. No, I’m not talking about your Tito Ortiz’s or your King Mo’s. I’m talking guys who transitioned successfully. I’m not even talking about Shamrock, Dan Severn or Brock Lesnar; all had Hall of Fame MMA careers. Shamrock, Severn and Lesnar all broke into pro wrestling before they ever got into MMA. Shamrock was active in All Japan in the late 80’s and Severn started as early as 1992. However now a days you are getting guys from from MMA, with zero pro wrestling experience getting involved in pro wrestling. The highest profile case of this was arguably Josh Barnett back in 2003. He became the youngest UFC World Heavyweight Champion of all time but then had his belt stripped due to a positive PED test. During his time away from the UFC he started wrestling for New Japan Pro Wrestling; making his debut in the main event of the January 4th Dome (Wrestle Kingdom before the Wrestle Kingdom name), taking on Yuji Nagata for the IWGP Heavyweight Championship. This was at a time in New Japan’s time when guys like Barnett, pro wrestler turned MMA fighter Bob Sapp and other combat sports stars were being used to bolster the top of the New Japan cards. Guys like Bob Sapp even took a turn with the IWGP Heavyweight title during this era. This arguably lead to Antonio Inoki’s exit from the promotion, as the gates and interest int he brand were down. It didn’t help either that the top draws in Japan at the time were in Pro Wrestling NOAH. Since Barnett’s impressive run in NJPW in the early 2000’s, several names have jumped to pro wrestling. The WWE’s Matt Riddle stands out, though he’s a polarizing character to say the least. The WWE also has several female MMA stars like Shayna Baszler, the current NXT Women’s champion. Not too mention Ronda Rousey, the most well known women’s MMA fighter to date. They’re not the only one’s though that have big stars from the world of the UFC and MMA. 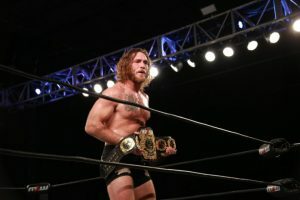 Major League Wrestling’s Tom Lawlor seems to be the most universally accepted, and is currently showcasing this by being MLW’s newest World Champion. It’s also worth noting that Current UFC Heavyweight Champion Daniel Cormier is interested in getting into pro wrestling when his career is up, and many believe he’ll end up leaving the UFC and ESPN’s commentary booths for the WWE. There’s also other notable guys like Stephan Bonner and Phli Baroni, both of whom have been competing for about two years now. 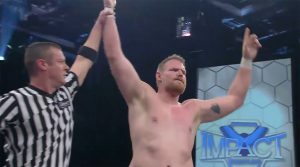 Bonner even spent some time in IMPACT Wrestling in 2017, when he helped Moose take care of pro-wrestler-turned-MMA-fighter Bobby Lashley and the American Top Team guys. Now Game Changer Wrestling will host it’s 2nd Bloodsport branded event, this time hosted by Josh Barnett., replacing Matt Riddle who left to join the WWE. The show’s concept is to take grapplers and combat sports stars, and put them in a ring with no ropes; paying homage to the Jean-Claude Van Damme film from the 80’s Bloodsport. Last year’s event only featured MMA stars like Tom Lawlor and Dan Severn, but this year’s event features more MMA stars. Severn is back and Barnett is headlining the show against New Japan’s tough man Minoru Suzuki, while previously mentioned Phil Baroni will be on the card as well. Martial artist Dominic Garrini is also on the show as well, though he was also on last year’s show. 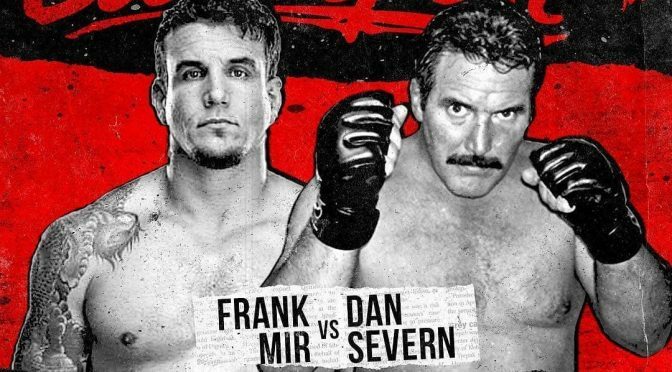 Barnett, Lawlor, Severn and Baroni will all be fighting, but the big news on the show is that former UFC Heavyweight Champion Frank Mir will be making his pro wrestling debut. 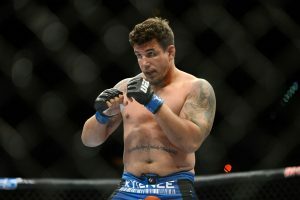 The MMA fighter lost in the Blleator Heavyweight Grand Prix against one of the greatest of all time, Fedor Emelianenko and then lost his follow up fight with Javy Ayala. The 39 year old seems done in MMA, and pro wrestling may be the next stage of his career, if he wants it. Yet all this preamble is simply to set up the context of the next big name who might join pro wrestling, Cain Velasquez. According to the Wrestling Observer Newsletter’s Dave Meltzer, Velasquez is having talks about doing some “high profile” wrestling this year. Velasquez was already at the WWE Performance Center and Fox – the new home of SmackDown in October – is reportedly very high on the WWE presenting their product more sport-like. 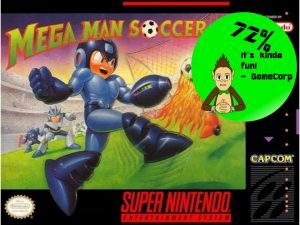 Which to the laymen and Vince McMahon, that means “do the same thing but with sporty boys instead”. Digs aside, Velasquez is popular, still young for an athlete these day at 36 and still has a huge amount of fan support. If he were to transition into pro wrestling, with his real world accolades, wins over Brock Lesnar, Antonio Silva, Antonio ‘Big Nog’ Nogueira and Junior dos Santos, he’d be seen as an instant headliner. The benefit of guys from MMA coming into pro wrestling is obvious as it ups the realism, as well as draws mainstream attention to pro wrestling. If the WWE were ever able to convince Conor McGregor to show up, do you really think fans wouldn’t? The truth is that MMA fighters maintain their fan base long after their viability remains. If Chuck Liddell had spent the last ten years in pro wrestling, instead of thirsting for another run in the UFC, he may of made millions on millions. Could you imagine the Iceman coming to the ring, knocking a dude out in 20 seconds and leaving? He’d be huge in pro wrestling. MMA fighters with a brand should seriously consider pro wrestling as a second career option. Athletes are going well into their 40’s more than ever before at an elite level, so the whole “he’s too old” argument doesn’t apply any longer. Plus with guys like Sting, Ric Flair, DDP and Batista, age in pro wrestling no longer matters. A guy in his late 30’s could wrestle probably for a good 15-20 years. Hell Kurt Angle’s best wrestling happened between his 35th and 44th birthday. 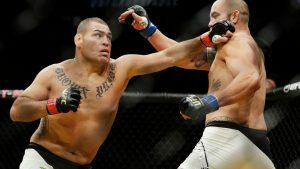 So to Cain Velasquez, leave MMA behind. Say thank you to the UFC and hop on in. Pro wrestling will give you years on a career that might be over if you stay, and the money is better than ever before. With IMPACT, ROH, NJPW, WWE and AEW all providing healthy wages, you’d be foolish not to. Also, guys and gals like George St. Pierre, Gina Carano, Miesha Tate and even Tito Ortiz might find great success in pro wrestling. Pro wrestling needs stars, no matter where they come from. 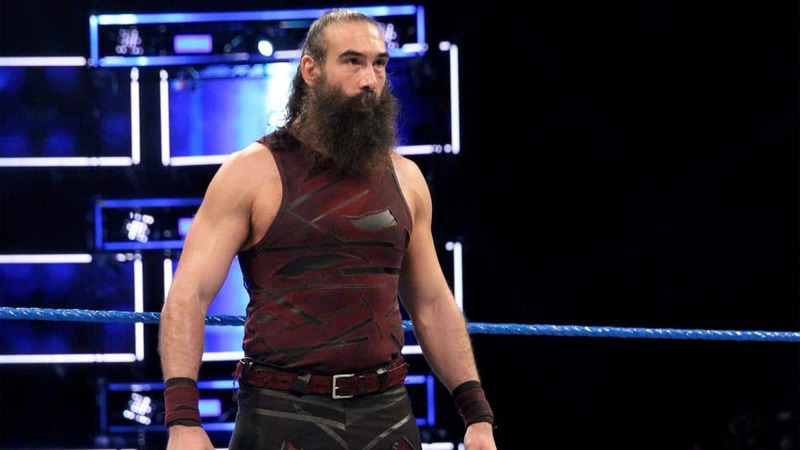 The industry is growing, and the WWE is eating up star after star (and killing their appeal), so if we want pro wrestling to continue to grow at a healthy, sustainable rate, this is a great way to help the industry alone. I approve MMA stars in pro wrestling, and you should to. Previous PostTitan’s Cast Another Major Hero, Bill and Ted Bring Back Fan Fave and More Nerd NewsNext PostSaying Goodbye to Supernatural After 15 Seasons.